When most of you think of divorce, you probably imagine dramatic courtroom scenes from movies, bitter spouses fighting over kids and cars and every last detail, and a long, drawn-out process. While reality can certainly resemble this on occasion, at a base level, filing for divorce in Washington isn’t as complex or intricate as you may assume. It’s a progression to be sure, but the steps are relatively simple and straightforward. Like most things with divorce, the real complications arise when the people get involved. As usual, it will probably be in your best interest to consult an attorney regardless, but it never hurts to familiarize yourself ahead of time. With that in mind, here is how you file for divorce in Washington state. As with any process, there is a moment where it begins. In this situation, that moment is when one spouse completes the divorce form or the petition for divorce. The reasons you or your soon-to-be-ex want to dissolve your marriage are, more than likely, very complex and intricate, but as far as the method of ending your union goes, the first step is simple and only involves a bit of paperwork. and your current living situation. Any shared property to be divided in the divorce must also be disclosed at this time. Washington is a no-fault divorce state, which means that there is no need to prove that one party was to blame for the failure of the marriage, so there is no need to dig into that just yet. What do you do after completing the proper forms? You file them with the court. When petitioning for a divorce in Washington, you must submit the appropriate paperwork in the county where you live, not the one in which you were married. Before you submit them once and for all, you may want to have an attorney give them a once over to make sure they are filled out correctly. When they are ready, make two copies—one for your records, one for your spouse—and go to the courthouse to submit them. There will be a filing fee for doing so, which, in Washington, currently runs $315. The next step is to serve your spouse or have the papers presented and declare your intentions. You may hire an outside process server to accomplish this, or an attorney can handle this part of the divorce proceedings. You can’t do it yourself, but you can enlist another adult to do it for you. If this is an uncontested divorce, your spouse only needs to sign the Acceptance of Service to acknowledge that the documents have been delivered. The court cannot move forward until the papers have officially been received by your soon-to-be-ex. Signing and filing the final documents is truly just that. There are a series of forms to fill out, including any notarized agreements you and your spouse come to regarding division of assets and debts, child custody, spousal and child support, and any other specific details the two sides work out regarding your situation. Again, you may want to have an attorney or have a member of the court check these to make sure they are filled out correctly. After you reach a final agreement—this can be on your own, with the help of counsel, or through trial or mediation—the court will look over your paperwork, confirm it is all in order, and sign off. Once this step is complete, your divorce is official. It is in between the serving of the papers and the signing and filing of the final documents where things can and often do get messy and complicated. In the case of an uncontested divorce in Washington, the situation may progress smoothly and involve little more than both parties signing a few forms. If your spouse contests the divorce, however, things can become adversarial. You may have to go to trial, or at least mediation, in order to hash things out. 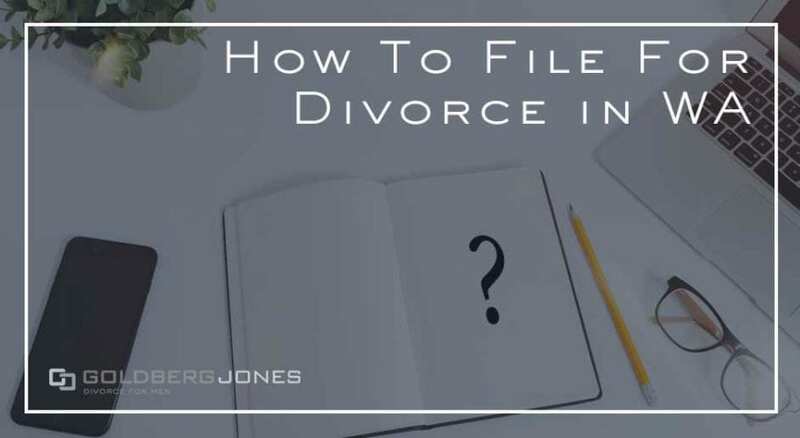 Depending on how contentious your divorce becomes, financial records may be subpoenaed, friends and family members may be interviewed, and you and your spouse may become embroiled in all manner of heated arguments. This is when you will most likely want to enlist the help of an attorney. As you navigate these precarious waters, you and your spouse will both present your respective cases. If agreements cannot be reached, the court will make rulings when it comes to child custody and visitation, division of property, child and spousal support, and more. In this type of combative situation, you may very well want an experienced hand guiding you towards an optimal outcome. At a minimum, divorce in Washington comes with a 90-day waiting period before it can be finalized. This means it will be at least three months between when you file the paperwork and when a judge signs off on your case. During this time, the court may issue temporary orders regarding custody, parenting plans, financial support, and conduct. If your spouse has objections, or there are other impediments, this process can last much, much longer than 90 days. Should your case go to trial, it may take up to a year to schedule. The more back-and-forth there is about issues like custody, alimony, visitation, and splitting up assets, the more time and effort your divorce will take. Every case and set of circumstances are going to be different, and there is no strict formula for divorce. Each individual situation has its own set of specifics, so each unfolds differently. Consequently, this is just a rough idea of what you’re in for when you petition for the dissolution of marriage. As this process can become incredibly complex in relatively short order, it will likely be in your best interest to retain the services of an attorney. Even if you take the do-it-yourself route, consulting a lawyer may ensure that the proper forms were filled out in the correct manner and that peace of mind can be a huge comfort as you end one chapter of your life and move forward into another. Related Reading: How Much Does Divorce Cost In Washington?